Openly gay recording artist Sam Sparro was born in Australia, but moved to Los Angeles at 10 years of age, when his gospel musician father found work in the California music industry. Sam was a child actor, starting with a McDonald’s commercial. While singing with his father’s gospel groups, he was discovered and championed by Chaka Kahn. 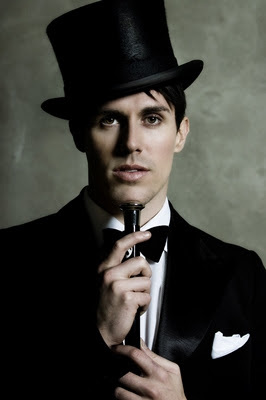 He later moved to London to pursue a career in music, but returned to LA, finding work in a coffee shop. 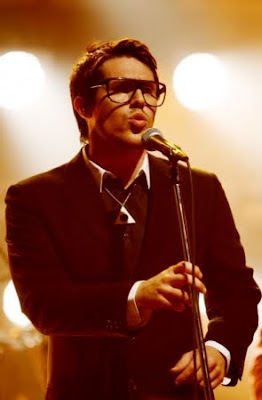 It was during this depressing and difficult time that he wrote his hit single Black and Gold (2008), which went on to win a Grammy Award for Best Dance Recording. Katy Perry has done a cover of this song. 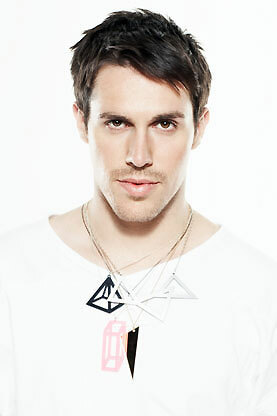 Sparro writes, performs, produces and arranges all of his own material. 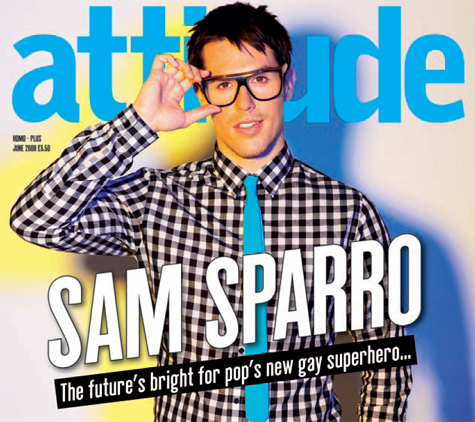 When he did an interview for Attitude magazine, a gay British publication, Sparro was featured on the cover (above). He lives in LA with his partner Adrian.